Have you fallen out of love whith your shelf? Does it look messy or maybe to empty? Shelves serve both functional and aesthetic purpose for any room in the house. Most homes eather have built-in shelves or seperate pieces people have bought for their home. Styling, organizing, and accessorizing a shelf is a tricky task... color, size, texture, function, all need to be taken into account. It's not a skill we all possess...here are some great tips on how to love your shelf. Remove everything from your shelves. It may be time-consuming but starting with a blank canvas will help you see the space and encourage you to return only what you really love. 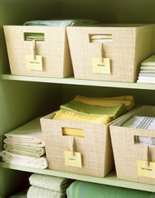 Remove any torn-up or raggedly books (maybe they don’t get to be on display…this is where baskets and bins can be useful.) Arrange your books by size, keeping relative sizes together will be pleasing to the eye. Decide what kind of feel you want to have. If your room has a style, let it flow onto the shelves. 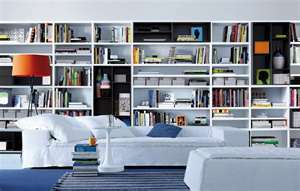 Get creative, shelves no longer are there just to fill up with books; shelves are a focal point of most rooms. 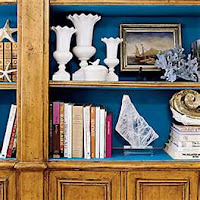 Add elements of color, texture and depth using various elements around the house or items you have collected over the years, such as statues, vases, old photos. pottery, paintings, and greenery. This is an opportunity to show off some of your favorite things. It is also a chance to see what additions you might need to bring them together. That means shopping. And shopping around for these types of things is fun. 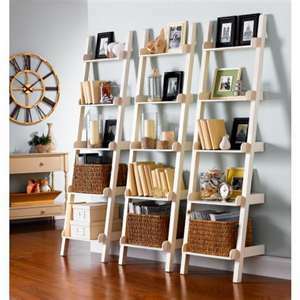 Place your largest items on the shelf…this may be a grouping of books, storage baskets, vintage items,..whatever you want. Space these pieces that have more visual impact somewhat randomly in the bookcase.The smallest books go on the upper shelves, the largest on the bottom. You don’t want things to look top heavy. Stack books vertically and horizontally to create visual dimension. Add a layer of medium sized decorative items…framed prints, plants, statues, etc. make sure these items have a spacial relation to the largest items…whether they are placed slightly in front or on top, don’t leave them floating all alone on the shelf. The most important thing to remember is to layer your items. 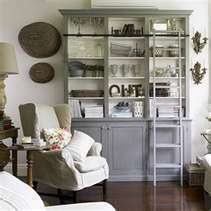 Using paintings in the back of the shelf helps fill up the space and creates that layering look. When you are decorating your shelves, work from the back to the front. You can use pottery as bookends, sturdy clay pieces are functional and add interest. 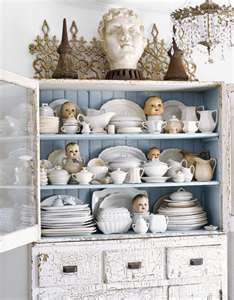 Add your other accessories on the shelf, such as a colored vase or pot, candlesticks, a ceramic bird or a small clock. Even a lamp on your bookcase adds light in the evening. Also, adding a small pot of greenery helps to soften all of the hard objects you have on your bookshelf. If you have double bookcases, make sure they have the same symmetrical look. You do not necessarily have to use the exact items, but they must have the same feel. Finish with any small knick-knacks…seashells, candles, figurines, etc... Use these sparingly. You don’t want too many little pieces…it’ll look busy and messy. Bring in the baskets and boxes, use them to hold children’s toys or small items you want within reach but out of sight. . Give your stuff some breathing room. Leave at least 10-15% of each shelf open. Keep it simple, don’t pack in too many items. Step back and assess. Is there too much stuff on one side? Too many black things on that one shelf? Is it too symmetrical? Don’t worry if it doesn’t look perfect right away…this is a process and now is the time to mess around with it. Do not be afraid to experiment. Stand back, and see how it feels to the eye. If something looks wrong, simply move things around until you love your shelf. 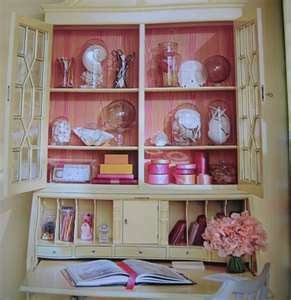 Once you have your shelf complete you can also change out the décor on your shelves for the seasons. That doesn’t mean you need to do undo your shelf each season. It means you might enjoy changing out some accessories to match the season. Adjusting things for the holidays or a party can be a lot of fun and it doesn’t have to cost an arm and a leg. It’s just a suggestion for those of you who enjoy this whole process.